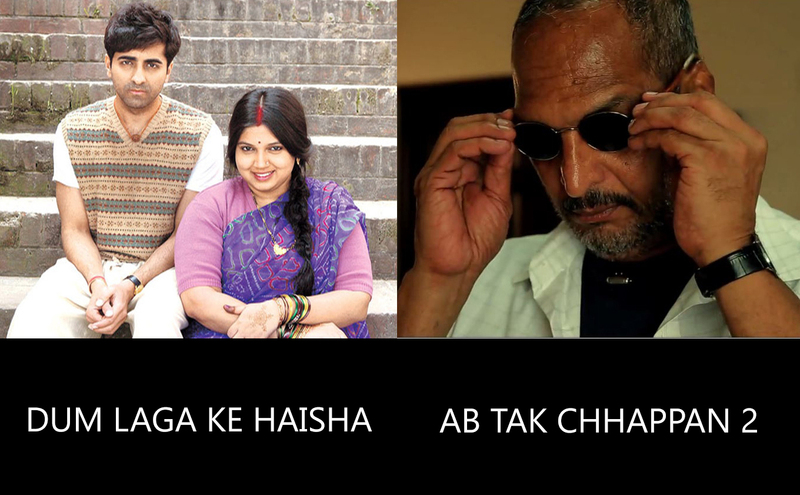 Viewers showed up totally neglected attitude towards Ab Tak Chhappan 2 and moved on with other options like Dum Laga Ke Haisha and Badlapur in most of the case. Ab Tak Chhappan 2 has got a very disappointing start as audience doesn’t seem to be bothering about this movie at all and they were seemed to be diverted by other movies in the theatres or merely not watching movie at all. 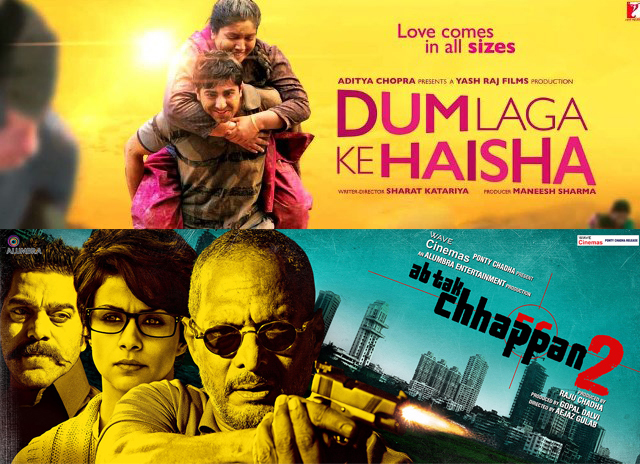 Other co release Dum Laga Ke Haisha has still got comparatively positive reviews from most critics and the positive word of mouth is contributing bit in its growth. The film did grow marginally over the weekend but again failed to do well overall in the weekdays bit remained overall decent. Today is the sixth day of release for these films at box office and the business done by ATC2 is below average and that of DLKH is average. Earlier all were expecting not much good response for the movie, but audience is looking so much in favor of Dum Laga Ke Haisha. The film released on only 769 screens country wide, which is the main reason behind such average figures of the film but in terms of performance it is doing well. Yesterday DLKH collected around 1.11 crores, which was little bit higher than the day before. As per reports, today’s occupancy of the movie was almost similar and done a business of around 1.09 crore. Critics were having a good hope for the movie Ab Tak Chhappan 2, all were expecting a similar response as its prequel Ab Tak Chhappan. But the movie failed in it, viewers have not find it so much entertaining as they liked the previous part. Got an average figures on opening, and the business graph is dropping down day by day. Today as per report, the total collection made by the movie is not more than 45 Lacs*.